For some, empathy is among their greatest strengths. Empathy enables people to see and understand from a completely different perspective, and for those in animal or wildlife fields, that makes all the difference. Ben’s story is an incredible one. By studying bears closely, he learned about their complex social relationships, cooperation in harsh winters when food supplies were sca rce, and discovered a new sense organ that bears use to communicate. 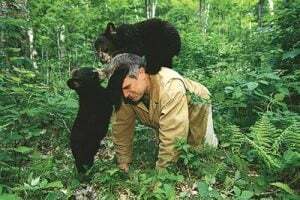 Ben did finally receive his PhD last month in bear behavior. Congratulations! Thanks to Spoken Layer for the audio version of the article below.